It is never too early to start planning for the next time. Harvey has shown all of us we need more than the Ike Dike to protect homeowners and businesses in Houston and Harris County from flooding caused by rainfall. Imagine how much worse it would have been if Harvey had come ashore far enough North to have hit Houston with higher wind speeds and heavier rainfall? 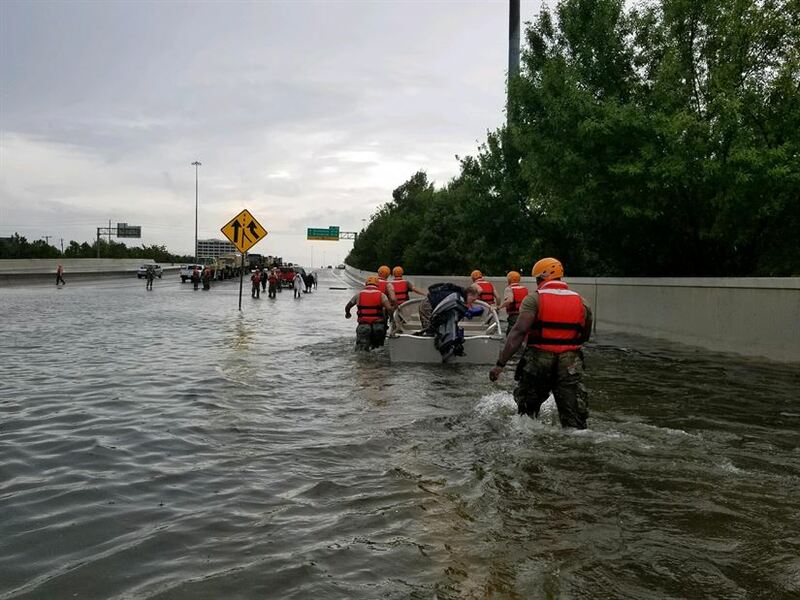 It’s time for elected officials, in our region, to move from planning for flood control to developing a plan to eliminate flooding in Houston and across Harris County and the rest of the region. It’s time for A Regional Drainage Enhancement and Flood Elimination District. This effort should be built on Senate Bill 1269 filed by State Senator Borris Miles during this year’s 2017 Regular Session of the Texas Legislature. Governor Abbott should call the legislature back for a second Special Session later this year (or early next year) to create the Flood Elimination District as well as authorize and fund development of a Texas Gulf Coast Hurricane Resiliency, Evacuation and Recovery Plan. Some people are going to say its impossible to eliminate flooding in Houston and Harris County but that mindset means we have to be willing to live with losing tens of thousands of homes and businesses to flooding from the rainfall produced by an hurricane or tropical storm. I don’t believe we have to settle for the status quo. Japan and San Antonio have built tunnels to help improve drainage and to better protect against flooding. If Houston could dig the Ship Channel and help send a man to the moon and bring them back, the engineers in our City can design a plan to keep Houston dryer than it is now even when Harvey did not directly hit the city. It is time to issue debt against the City’s Drainage Fee to generate the revenue needed to speed up construction of existing flood control projects and to develop a major flood elimination project. We also need to upgrade the city building code. We have to do that now to protect against future high-speed wind damage. We were blessed to not have had serious widespread, high speed wind issues this time. Additionally, as the City prepares for the 2020 Census, the Planning Department should develop a database of all Houstonians who would need help in the event of an evacuation in response to a natural or man made disaster. Harris County and the Houston-Galveston Area Council should also develop similar databases. Our region also needs a coordinated inventory of water rescue equipment and high water vehicles as well as trained personnel and joint water rescue preparation exercises. Our electric grid withstood a lot of punishment but still needs to be made more resilient and redundant. In addition to incentivizing and encouraging “high and dry” backup generators at individual businesses and homes, the City should partner with electric battery technology companies to hard wire backup electric battery capacity into our local grid at strategic locations like Los Angeles is currently doing with Bloom Boxes. In the last sixteen years, we have been hit by Tropical Storm Allison (2001), Hurricane Ike (2008) and now Hurricane/Tropical Storm Harvey (2017). Three times should be enough for us to have learned our lesson. It’s now time to use what we have learned to pass our next test whenever it comes. It’s no longer acceptable to be reactive to a storm. It’s time for us to be fully proactive. Author: Robinson and Adams are members of the faculty of the Political Science Department at Texas Southern University in Houston, Texas. Professors Robinson and Adams your article is very courageous and clear. Prevention planning is a must as we march boldly into a bold future. I do hope that every official in Texas will read it and seriously consider it as the bold action needed to protect the safety of our great grand children from climate deviation. Hurricane Harvey should be a wake up call to all who are in office to spend taxpayer’s money to reach into future to make a huge difference. Copies should be sent to every public official. You message is simply clear. Now is the time to protect the long-term future of Houston.